We are all fascinated by the beautiful Northern and Southern Lights but not everyone can make the long and expensive journey to the Polar Regions to witness the spectacle first hand. 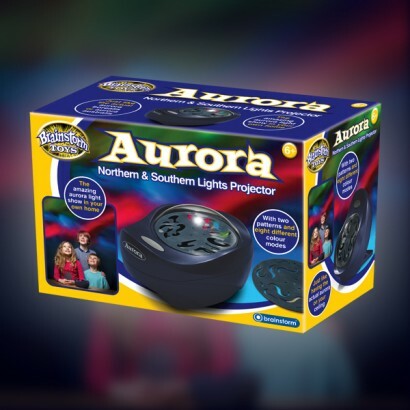 With the Aurora Lights Projector you can bring this stunning natural light show into your home. Using multi-colour LED's in seven different light modes, the project casts moving Aurora lights onto the walls and ceiling of any darkened room. 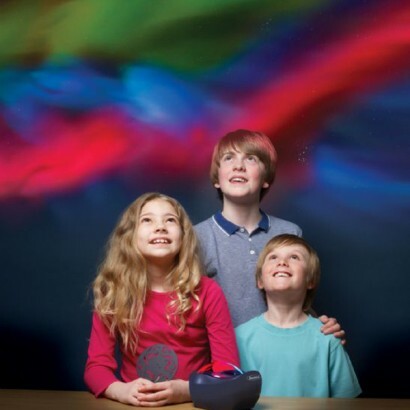 Now you can bring this amazing natural light show into your own home with the Aurora Projector. The projector uses multi-colour LEDs in eight different light modes and two patterns, to display moving Aurora lights onto the walls and ceiling of a darkened room. 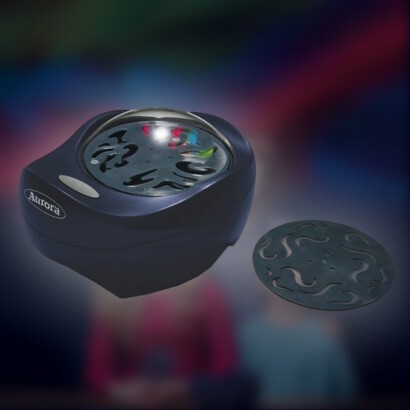 A stunning light effect for parties or sleepovers, the Aurora Lights Projector can used be used as a night light, with an automatic shut-off function to save battery life. A colour booklet supplied with the projector is filled with fascinating information about the Aurora.